Phase I, or early interceptive treatment, is limited orthodontic treatment (such as an expander or partial braces) before all of the permanent teeth have erupted. Such treatment usually occurs between the ages of seven and ten. The goal of Phase I treatment is to intercept a moderate or severe orthodontic problem early enough to reduce or eliminate it. This treatment is sometimes recommended to make more space for developing teeth, correction of crossbites, overbites, underbites, or harmful oral habits. Phase I treatment can take advantage of growth potential and turn a difficult orthodontic problem into a more manageable one. This often helps reduce the need for extractions or surgery. Most Phase I patients require a second phase of treatment in order to achieve both the ideal alignment and final bite relationships. Phase II treatment usually occurs a number of years later, once the remaining permanent teeth erupt. This most commonly occurs at the age of 12 or 13. 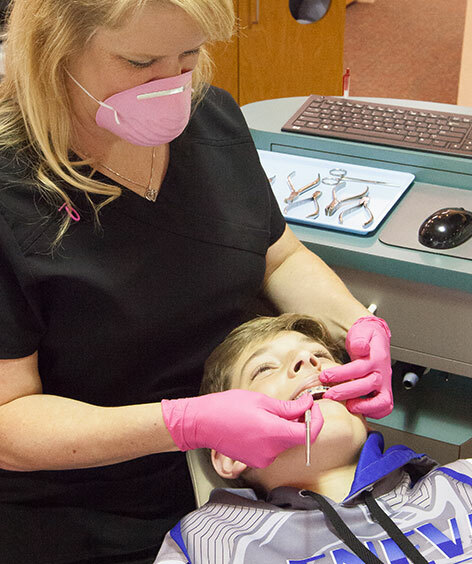 The goal of Phase II treatment is to achieve ideal alignment and bite relationships with all of the permanent teeth. Not every child requires Phase I treatment. Only some children with certain bite and alignment concerns require early intervention. Most children can wait until most if not all of their permanent teeth erupt for comprehensive "one-step" treatment.